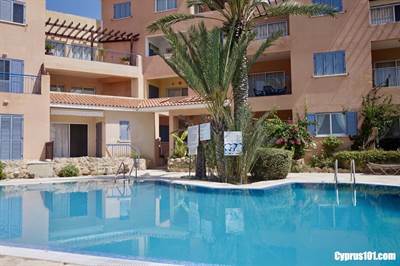 • 1 bath , 2 bdrm apartment – FOR SALE €119,950 EUR. This beautifully presented 2 bedroom top floor apartment is situated on a small luxury complex within easy walking distance to the newly renovated village square, which has a good variety of restaurants and tavernas. The main town of Paphos and the coast are an easy 10 minute drive away. Next → Next post: Chloraka Villa – Pool, BBQ Area, Deeds & More!